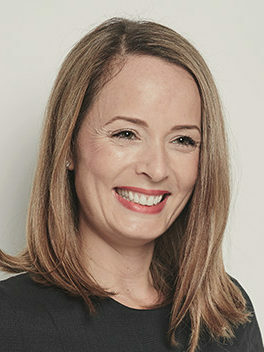 One of the leading talent experts in Australia, Emily is sought after for her insight and strategic advice on employer branding, employee advocacy strategies, and executive level connections fostered during an 19-year career spanning the UK and Australia. Emily believes in building a business that is forward thinking and centred around specialisation, rapid response and adding value to every interaction. 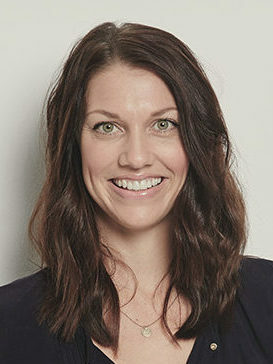 A marketing and digital professional for 14 years, Sharon has worked on a multitude of trans-global marketing projects and produced award winning campaigns for local and international brands in Australia and the UK. With a focus on brand problem solving and innovation beyond traditional media, communications and advertising, Sharon’s expertise is in integrated solutions that are digital at the core. Last week, we published Part 1 of our two-part interview with two incredibly impressive female leaders at fast-growing Australian executive search firm FutureYou – Managing Partner Emily Wilson and Chief Marketing & Digital Officer Sharon Lewis. We continue our Q&A with FutureYou this week, focusing on female empowerment in recruitment, the changing nature of the Australian workforce, and global differences in recruitment evolution. RIX: It seems like we’ve taken a step back as far as women empowerment in recruitment. There seem to be fewer women in recruitment leadership than there were fifteen years ago. Why is that? And why is FutureYou bucking that trend? EW: Statistically, the industry at a consultant level is around 50-50, but as you move into senior ranks women are still in a minority. At FutureYou we’ve made a conscious decision to achieve gender balance within our leadership team. We have committed to achieving a target of 50 per cent women in leadership positions and we’re close to it. To see change, there needs to be a focus on demonstrating a pathway, creating a culture, and providing an environment where women have the opportunity to truly thrive. In fact I wrote a LinkedIn post on the subject just recently. When we talk about environment, it’s about creating one that’s reflective of the needs of women, supported by both formal and informal policies which promote diversity, equality, inclusion, and flexibility in the workplace. At FutureYou we’re doing this through our Parental Leave Policy, our Learning and Development frameworks, and our distinct approach to work-life integration. As a female leader I’m acutely aware of my responsibility as a role model to women in our industry who have their sights on leadership roles, and particularly those who want to combine family and career. Women taking on leadership roles often coincides with the time they are also starting families, and if organisations want to retain exceptional female talent, there needs to be an open and supportive culture underpinned by forward-thinking policies that accommodate for individual priorities. We have 15 women in our leadership team and more than half work part-time, all showing how it is possible to take on a senior role, while integrating work and life, which for many includes bringing up a young family. And that level of flexibility extends across the entire organisation, women or men, family or no family. For me, it’s balancing my role as a Managing Partner at the fastest-growing recruitment company in Australia, with quality time with my husband, two young boys in primary school, friends, and my own well-being. RIX: The Australian workforce is changing, How will Australians support the Baby Boomer generation as they age and retire? FutureYou is looking to put together a program specifically around tending to older workers. Can you explain the genesis behind this? SL: The economy is changing, people are living longer, they’re retiring later, and we need to look at how we support this new ‘wisdom workforce’. We’re finding older generations still want to contribute but in a different way to perhaps the way they have done for the previous 20 years in the workforce and equally, businesses can draw considerable value from those years of expertise. Organisations are increasingly hiring people based on values, alignment on purpose, and how they can add to the company vision. They recognise the value of diversity in the workforce in terms of age and gender. Globally, many economies are transitioning towards a more aged demographic. The spread from young to old in the workforce is likely to increase as retirement ages push back further. The official retirement age in Australia has been increasing since the late 1990s, and is now 65 for both men and women. Rather than retire, many – particularly at the executive end of the recruitment market – are taking a tapered approach to retirement. They are choosing to gradually scale back or change their duties rather than cease working altogether. They are choosing more flexible work environments or project work that’s interesting and rewarding, and where they can truly add value. Although some organisations are ready and willing to embrace an increasingly demographically diverse workforce, we’ve got a long way to go to change and challenge the mindset of Australian businesses to see the value in retaining and drawing on the skills and expertise of an aging workforce. RIX: Australia is quite different than the UK and U.S. in that its recruitment industry isn’t built on free sharing of best practices and content. Why is this and what can be done about it? SL: At FutureYou we’re working hard to flip that on its head, and leading by example. The industry hasn’t traditionally shared their experiences and insights, so one of our values at FutureYou is ‘For the Greater Good’. We are always looking for opportunities to share our knowledge and to make a difference with impact, not only in the recruitment industry but also in the broader business community. EW: The team has learnt a lot in our many years in the industry and in the last year bringing FutureYou to life – we want to share that; we want to lift the talent position in Australia. If there are a few leaders in the industry willing to put their hand up and lead the charge, then as history in the industry tells us, others will follow. What do 2,000+ staffing professionals say are the priorities, challenges, and trends that matter to them in 2019? Find out at the brand new site for global recruitment insights and data.